The current owner and company president and a member of the Mackinac Center’s mid-Michigan board of advisors. It was 100 years ago this month that a Michigan entrepreneur, equipped with little more than a vision, decided to step out on his own. In 1905, Frederick Stevens Jr. bought a single horse and wagon from a drayman for whom he had worked, and began Stevens Van Lines in Saginaw. A century later, the Stevens family still owns and operates the company, which conducts business internationally. Five generations of dedicated and visionary Stevens have made the business a success in spite of immense changes in the moving industry. Their story contains lessons that every Michiganian should learn. Stevens had a vision to create a business that would provide for his family and supply a fair and honest service to the community. He used the horse and wagon to haul luggage to and from the Saginaw train depot, soon adding a storage service as well. His brother, father and son helped him run the operation, building it into a successful moving and storage business. Hard times lay ahead, though. During the Great Depression, the Stevens family suffered along with the rest of the nation. Innovative thinking kept the business afloat. Though the company lost much of its warehouse storage business, Fred’s oldest son, Frederick Morrison Stevens, purchased furniture at auctions in Detroit and used the company’s moving vans to transport them for resale at a retail furniture store they opened in Saginaw. The furniture operation was probably the most important business division at that time and sustained the family through the decade-long economic catastrophe. Diversification has been a key to success for each generation of the Stevens family. Early on, the family operated a fur storage business and sold a franchised mothproofing service, in addition to moving and selling furniture. Archie Stevens, one of Fred’s sons, added a trailer rental business and a commercial agency program, which would secure agents to book and haul household goods all over the country.He also added the hauling of heavy machinery to the company’s growing services. Morrie Stevens, current owner and company president, expanded from just household goods relocation to international relocation and freight forwarding services, becoming increasingly involved in military and other government moves. In 1993, Stevens Van Lines became its own van line, with other agents working under them. Many of the side branches were later sold, but they all contributed to the success of the company. A distinctive feature of the Stevens’ company is the centrality of the family. Five generations of Stevenses have worked together to make their company profitable. Fred Stevens Jr. hired his father and brother to assist him when he first started the business; Archie Stevens partnered with his brother; and Morrie Stevens’ three brothers all held equal shares of the business when they bought it from their father. Working with their fathers equipped subsequent generations with a unique knowledge of the business. As Morrie Stevens said, "My brothers and I had been going to moving conventions since childhood. We’d worked in the business from the bottom up, so we understood it." They appreciated the work of their forefathers and worked hard to build on their success. It’s unlikely that Fred Stevens Jr. could have imagined the extent to which his business would grow. From a single horse and wagon, the company has developed into a diversified transportation company with 500 employees, 400 drivers, nine branch offices and more than 1,200 domestic and international agents. Last year, they handled 18,250 relocations, 2,700 of which were international. Stevens owns and operates 10 affiliated carriers and forwarders for the Department of Defense. But the family is not content to rest on past achievements: Morrie Stevens hopes to add 250 to 300 agents in the next 10 years. The Stevens’ company has stood the test of time and risen to the top of the relocation industry. The real pillar of the Stevens’ success has been their devotion to quality. Their motto is "adapt to change, adopt innovations and improve services." According to Morrie Stevens, "It’s holding a strong commitment to quality that remains our core principle." Stevens Worldwide Van Lines was the first van line to receive the International Quality ISO 9001: 2000 Certification. The company strives to keep a high employee tenure, which brings more experience and helps maintain quality. Stevens is one of only two van lines in America to offer their employees a stock ownership program to encourage and reward longevity. Diversified services, devotion to family, flexibility in the face of change and an emphasis on quality have enabled the Stevens family to build and sustain a successful moving company from the horse-and-buggy age to the computer age. 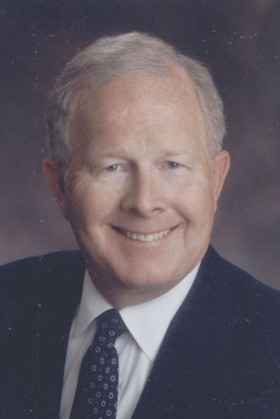 Fred Stevens Jr. had a vision to create a successful business. Through the dedication, innovation and hard work of his descendents, that vision has become a reality. The Stevens model provides a blueprint for Michiganians seeking to excel in business and a testimony to the entrepreneurial spirit in a free and open society. Monica Rubingh of Ellsworth, Mich., is a student at Patrick Henry College in Virginia and was a 2005 summer intern at the Mackinac Center for Public Policy, a research and educational institute headquartered in Midland, Mich. Permission to reprint in whole or in part is hereby granted, provided that the author and the Center are properly cited.